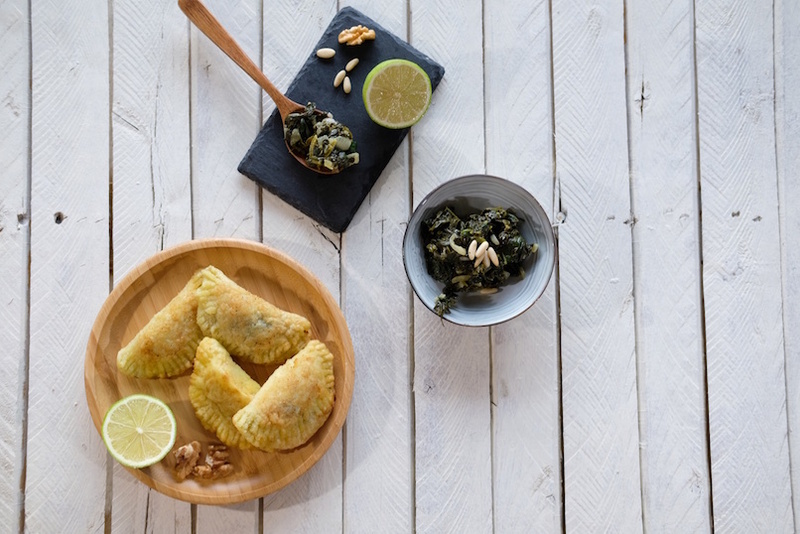 Inside Scoop: A twist on the traditional spinach fatayer recipe that’s both light and satisfying. This recipe was submitted by Vanessa Daher, food enthusiast with a certification in natural culinary arts. 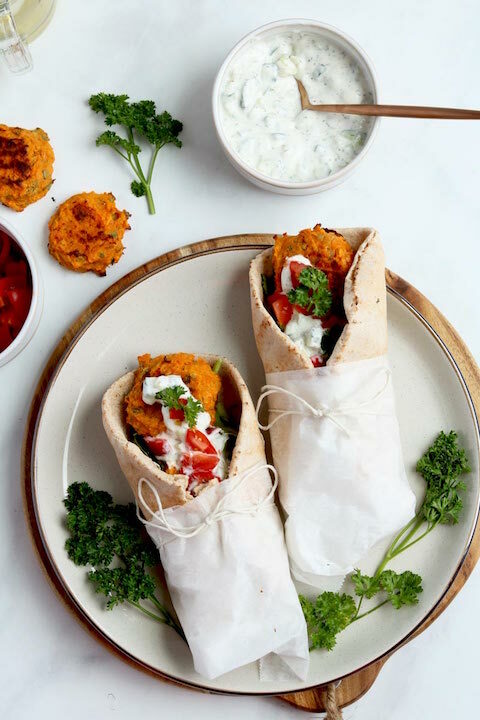 If you’ve never heard of this delicious little bite, it’s because it hasn’t made its way around North America like some other Middle Eastern star dishes such as hummus, baba ganoush or labneh. Don’t worry if you haven’t heard of the latter yet, you will soon because Middle Eastern cuisine is one of our favourites. 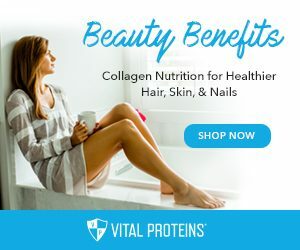 It’s simple, easy and most importantly utilizes a lot of fresh vegetables, beans, lentils, lemons and olive oil – all offering some incredible health benefits. 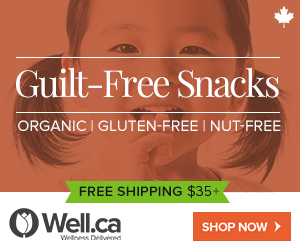 There are also a lot of gluten-free options and if you’re vegan it may be one of your favourite cuisines. 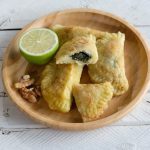 Now, while fatayer is typically a meat stuffed pie, the spinach and cheese alternatives are consumed more commonly and in our opinion are more delicious. Fatayer though can really refer to stuffed dough with pretty much anything, which reminds us of one of the most delicious nutella calzone we devoured in minutes during a trip to Italy a few years ago. Never thought of them this way, but fatayer really are mini calzones. Traditionally fatayer recipes are made with white flour, may have added milk and are generally baked. 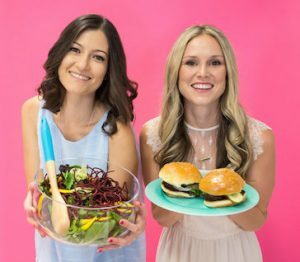 While we’d happily grab a bite if they were right in front of us, we were also so excited when our friend Vanessa Daher from Be.Root created this amazing and healthier alternative. 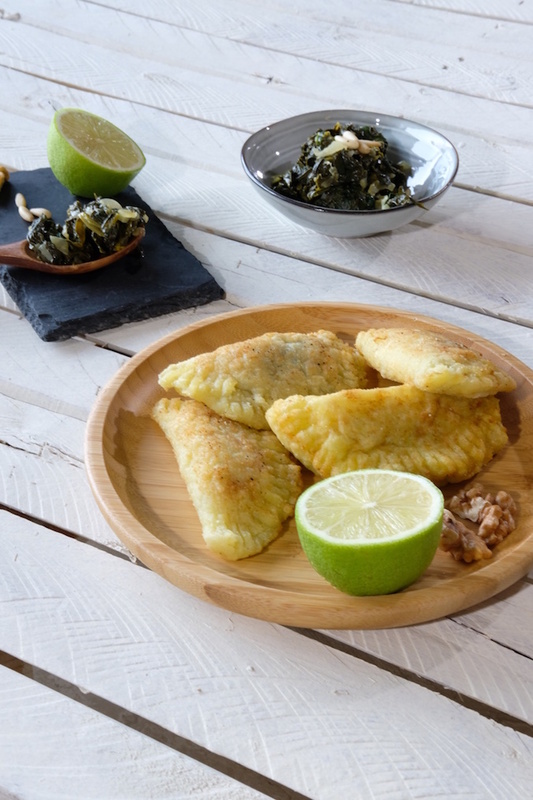 This fatayer recipe uses yuca root (also known as cassava and not to be confused with yucca flower) to make the dough and spinach as a filling, which makes it high in fiber and packed with veggies, antioxidants, some vitamins and minerals. We’ve recently been experimenting a lot with paleo cassava flour and if you’re following a more paleo diet or want to do some experimenting, check out these delicious Cassava Flour Pancakes and this irresistible Gluten-Free Cheese Puff recipe. 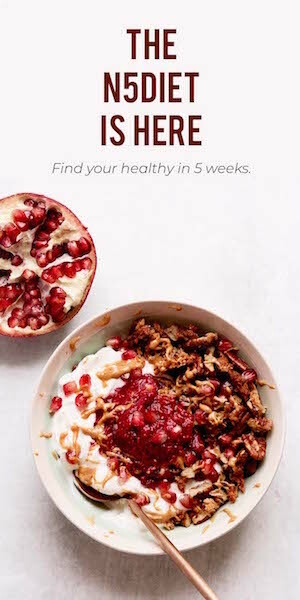 We’ve been loving to whip up recipes with healthier swaps so we created this printable Healthy Food Swaps list that doesn’t compromise on taste. Download it below and add it on your fridge for simple and delicious cooking inspiration. It’s perfect as a light snack or appetizer and it’s a party platter favourite that won’t leave you bloated or heavy. 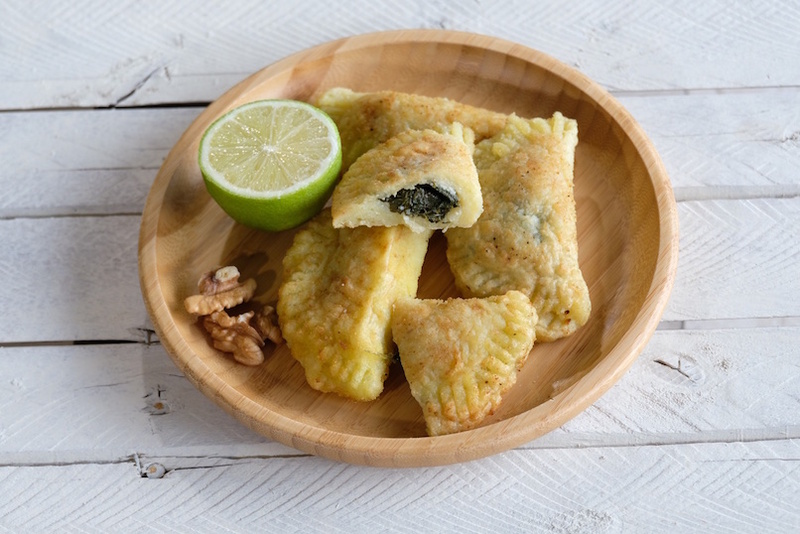 How are you going to enjoy this spinach fatayer recipe? Let us know in the comments below. 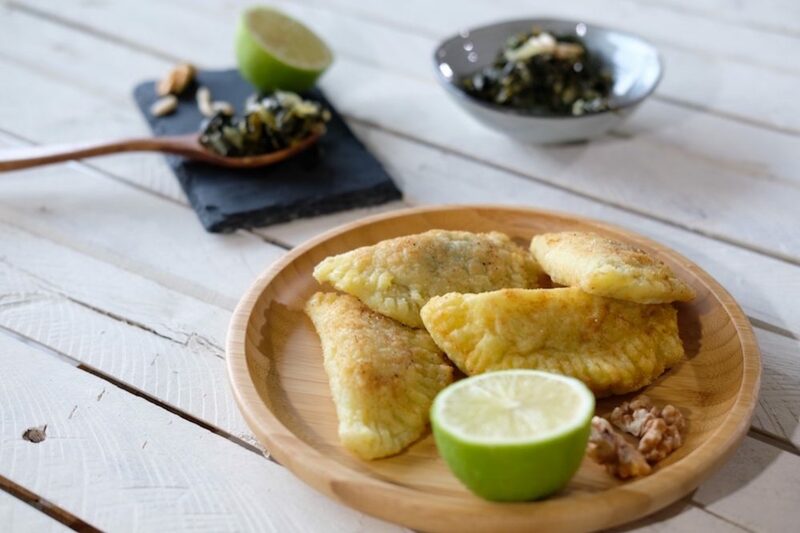 This spinach fatayer recipe is a healthier version of the original. It's vegan, paleo and gluten-free. Peal the yuca and cut into big chunks and boil in water until soft (be careful not to overcook). Remove from heat and drain. When it cools, transfer to a processor, add avocado oil and pulse until a dough forms. If dough is sticky and hard to work with refrigerate the dough. Heat the avocado oil on medium then add onions and sauté until translucent. Add spinach and sauté until soft. Add sumac and salt and mix well. Turn heat off, top with lemon, mix and let cool. Meanwhile, remove the dough from the fridge and divide into balls. If dough is too sticky start by adding coconut flour, one tbsp at a time. 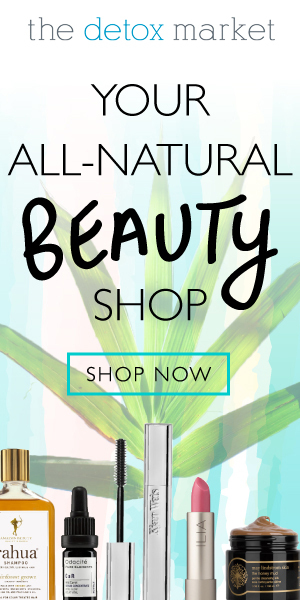 Sprinkle coconut oil on table top and on your hands. Take the dough balls and flatten to form pancake shapes (I would make them really thin as when I had them thicker, I ended up with a mushy dough). Fill each with one Tbsp of filling and close to form a half moon and press edges with a fork. Place on a baking sheet and cook at 375F for 12-15 minutes until a bit firm and easier to handle. Meanwhile heat avocado oil in a small pan for frying and fry each piece for 30 seconds on each side and remove.